Searching for Brisbane Accommodation? Look no further than these perfectly located apartments. Ideal for corporate guests that need easy access to the CBD, as well as couples, friends and families who want to explore all that the city has to offer, our serviced apartments Brisbane are spacious, contemporary and well appointed with all the comforts of home. Plus there is a supermarket right next door. 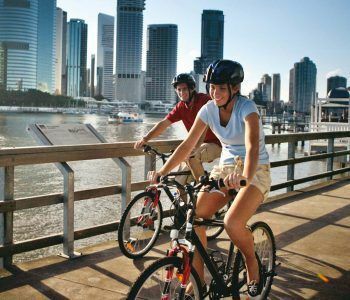 With excellent train, bus and ferry links nearby, you’ll have no trouble exploring all that Brisbane and the local area has to offer. Catch concerts from international artists, sports expos, trade shows and much more at the Brisbane Convention and Exhibition Centre or RNA Showgrounds. 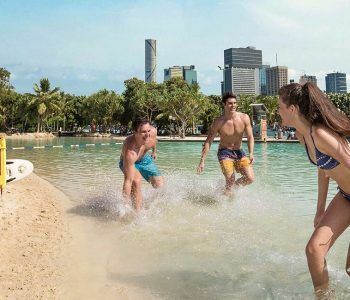 Those who want nothing more than to unwind after a busy day in the city can kick back in the shade in one of the city’s many beautiful parks and gardens or simply kick into the soothing bubbles of the spa at our holiday apartments Brisbane. Head to the theatre district at the Southbank Parklands to see the most interesting Australian productions before anyone else, or spend a long, leisurely afternoon browsing the Queensland Museum. If you are looking for convenient Accommodation in Brisbane then you’ve found it. Our apartments are one, two and three bedroom apartments and offer all the amenities you could need. Book your Brisbane Accommodation with us today. If you are looking for convenient accommodation in Brisbane? You’ve just found it. Would you like coffee with your Brisbane view? Our ideal location on the fringe of the Brisbane CBD and Spring Hill gives you easy access to the city’s best shopping, dining and cultural attractions. Head to Queen Street Mall, just a short walk from your Brisbane accommodation, and discover a huge range of shops and boutiques, take your pick from the international cafes, bistros and restaurants on Little Stanley Street at the Southbank Parklands, or head to the designer markets at James Street. Perhaps a trip to the theatre district at the Southbank Parklands to see the most interesting Australian productions before anyone else, or spend a long, leisurely afternoon browsing the Queensland Museum. Those who want nothing more than to unwind after a busy day in the city can kick back in the shade in one of the city’s many beautiful parks and gardens or simply kick enjoy the view from your apartment balcony. When next looking for accommodation in Brisbane, book your stay at Republic Serviced Apartments Brisbane now and start planning your stay today! When it comes to Brisbane accommodation near Suncorp stadium we hate to boast but we are probably the pick of the bunch. Not only is this Brisbane accommodation near Suncorp but we have Chinatown on our doorstep and Eagle Street pier pubs and restaurants a stones though away for pre and post match catch ups. We think the location of Republic Apartments is the envy of most others. The stadium is the state’s premier sporting venue and boasts a 52,000 people capacity and an incredible live atmosphere for rugby league, rugby union, soccer and live music events. If you have tickets for an event, our Brisbane Apartments are the ideal base, providing you with quick and easy access, a wonderful range of facilities, and a well equipped self contained apartment to unwind in before and after the game. Our one and two bedroom apartments feature full kitchen facilities, laundry facilities, TV, air conditioning and modern bathrooms and suit singles or couples. Large groups may prefer more space in our three bedroom apartments that accommodated 6 people. Book your stay at our Brisbane accommodation near Suncorp stadium today. Searching for Brisbane CBD hotels? Look no further than Republic Apartments. The perfect accommodation option for the corporate traveller or visitor the city. After a busy day meeting colleagues in the city, unwind at your Brisbane cbd hotel with a lap of the heated pool or burn some energy in the gym. Republic apartments Brisbane provides wonderful facilities for the corporate traveller. The well-appointed one, two and three bedroom apartments contain full size kitchen with all the utensils you need to whip up a gourmet meal. A quick stop at Woolworths Supermarket right next door will provide all the inspiration for your nightly meal. But if cooking is not for you there are loads of dining options within a short walk of this Brisbane accommodation. One of the best ways to get around Brisbane, especially if you are staying at The Republic Apartments is with the City Cat Ferries. The ferry network really is a hassle-free way to commute or get around the various parts of Brisbane. At just a five minute walk to the river, Republic Apartments is the perfect option for those looking to stay in one of Brisbane CBD hotels. Republic Apartments provides short term accommodation in Brisbane. Perfect for those relocating, needing to move out or their home short term or beginning work in Brisbane. Republic Apartments is the perfect place to base yourself as you explore the wonderful city of Brisbane. Take a short walk and you’ll be riverside enjoying the views of the Storey Bridge whilst watching the endless activity on the water. If you crave retail therapy, you won’t want to miss a trip to the bustling Queen Street Mall, Brisbane’s premier shopping destination in the heart of the city. Browse endless affordable family stores and high-end designer boutiques for one-off bargains during your break at our Brisbane Hotel Accommodation. Lovers of international cuisine will enjoying exploring the international cafes and restaurants of Little Stanley Street at the beautiful Southbank Parklands. Sample everything from authentic Asian to Spanish tapas and enjoy a spot of people watching in this lively dining hub. 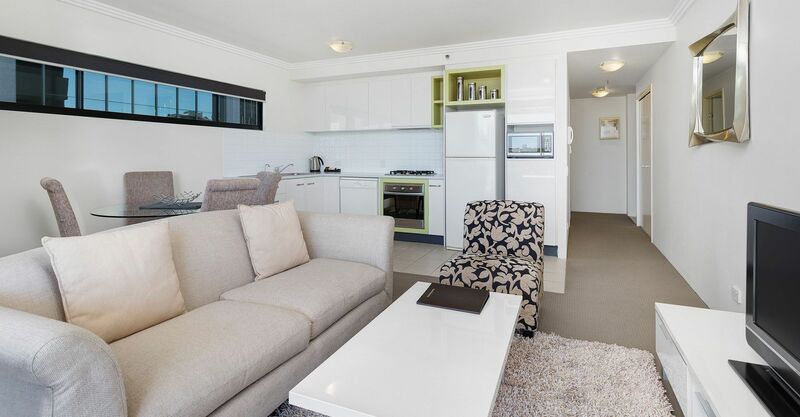 Republic apartments…the perfect choice for those wanting short term accommodation in Brisbane. Heading to Brisbane and looking for Brisbane Hotels? Why not try an apartment, you won’t regret it. More space, more amenities, more everything when you stay in a Brisbane hotel apartment. Yes there is a pool, yes there is a gym but wait you also get all the convenience of a full kitchen with all the equipment needed to whip up a gourmet meal. You’ll love the central location of your Brisbane accommodation when you stay at Republic Apartments. Woolworths Supermarket is in the building adjacent for all your needs. A short walk to the CBD and has your shopping covered in Queen Street Mall, Catch a game at Suncorp Stadium or enjoy a ferry ride along the river. For guests who want for more space than a hotel room, a shared apartment is a versatile option, especially for business travellers. Extra space or room for equipment can be invaluable. For some guests, it’s more convenient to base their business out of our apartments, than it is to hire a hotel room or serviced office. The Republic Apartments also has some of the fastest internet available in short term rented accommodation in Brisbane. Choose from 1, 2 or 3 bedroom apartments…the perfect alternative to Brisbane hotels. Have you discovered this Brisbane city accommodation yet? You can find the Republic Apartments in the vibrant Spring Hill precinct of Brisbane. Sitting proud on Turbot Street our dedicated apartment accommodation is conveniently positioned for easy access to most of central Brisbane including Fortitude Valley and Wickham Terrace. With the Brisbane Central Railway Station across the road, and the bus stop just outside that take you to Milton, Auchenflower and Toowong. 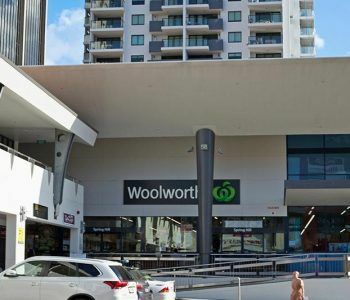 Fortitude Valley is one stop in the opposite direction. The Suncorp Stadium is just a couple of stops away on the bus, and you can easily walk to the Southbank. This is perfect Brisbane accommodation for the business traveller, or guests who have come to Brisbane for pleasure. Whether you are following your favorite sports team, planning a romantic escape, or relocating to Brisbane, the Republic Apartments have something for you. Choose from the fully self contained one, two and three bedroom apartments that we have available. Offering well over double the space of a comparable hotel room, our serviced apartments really are the smart choice when it comes to central city accommodation. The spacious and stylish Brisbane apartments have fully equipped kitchens and laundry and balconies for you to enjoy the striking urban views. The balcony is a great place to have breakfast or a drink in the evening, especially while the sun is setting ant the light begin to twinkle. Free wi-fi and 48 channels of Foxtel mean you will be more than entertained in your apartment. You’ll find Woolworths just a couple of doors away, so taking advantage of the kitchen is easy. Then again there are some nights when you just want to go out. The Southbank by night is a fun place to go, especially down Little Stanley Street. For the funky fresh artisan approach to eating out, Little Stanley Street leads the way. Come as you are, but bring your appetite. If you are looking for something closer, maybe in the fine dining part of town, then you can’t miss Riverside. The array of fantastic restaurants and cuisines is mind-boggling and they can all be found in and around Eagle Street. 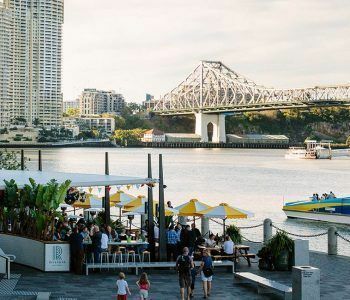 If you haven’t discovered this Brisbane city accommodation yet then we suggest you make haste at your earliest convenience. The Republic Apartments are open for booking, and you’ll get the best prices by booking direct. 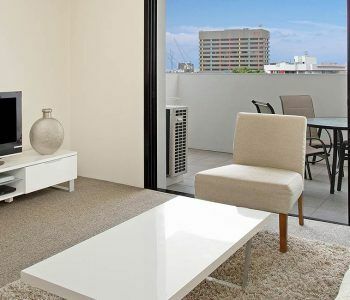 If you are looking for modern and central Brisbane serviced apartments, then the Republic Serviced Apartments on Turbot Street might just be what you are looking for. Our bright and fully self contained one, two and three bedroom apartments offer guests a delightful entree to inner city Brisbane living. Whether you need temporary accommodation for you and your family while relocating to Brisbane or you’re in town for business, the Republic Apartments have something for you. Being serviced apartments, you don’t need to worry about bed linen or apartment cleaning, this happens every five days, or once a week if your stay is longer than a month. The one bedroom executive apartments are perfect for the business traveller seeking a home away from home. Everything is provided, and unlike a hotel room, our apartments include a fully equipped kitchen. All the other comforts of home are included. Free wi-fi (limits apply), Foxtel with a comprehensive range of channels, air conditioning, ceiling fans and laundry mean your trip is covered. The two bedroom apartments offer the choice of one or two bathrooms depending on your preferences, while the three bedroom apartments provide a premium accommodation experience with kitchens fully equipped with Miele appliances: gas cook top, fan-forced oven, dishwasher and insinkerator. The three bedroom apartments are the perfect entertainers space with two balconies with splendid city views. Leave your car in one of our car parks while you are staying in Brisbane. We have four levels of car parking with one space allocated per apartment. Just across the street and a short walk away is the Brisbane Central Railway Station. Access to Roma Street, Milton or Auchenflower is easy, as is the Fortitude Hill stop heading north. Just beyond the Central Railway Station is the Brisbane River where the CityCat Ferry service also provides a handy method of getting around central Brisbane. Why look any further for central Brisbane serviced apartments when the Republic Serviced Apartments on Turbot Street are the answer to all your requirements. Take a closer look at our superb accommodation or book now for a great stay in Brisbane. Brisbane CBD accommodation doesn’t come much handier than the Republic Serviced Apartments. Centrally located in the suburb of Spring Hill, our apartments provide guests with easy access to central Brisbane and outlying areas. The Brisbane Central Railway Station can be found across the road, well actually it’s a convenient five minute walk, and the bus stops on Turbot Street that take you to Milton, Auchenflower and Toowong. Fortitude Valley is also one stop in the other direction. Less than half a kilometre away is the Riverside Ferry Terminal to catch the City Cat ferries. You’ll also find a superb range of Brisbane City restaurants along Eagle and Queen Street too. While the Republic Apartments are close to the fun parts of Brisbane, our reputation amongst business travellers is second to none. Our regular guests find the pleasing mix of facilities and fully equipped apartments in the central location an excellent Brisbane CBD accommodation option. 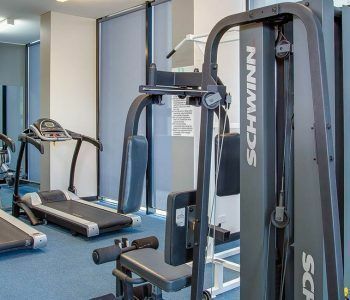 The onsite gym with cardio and resistance machines and the indoor lap pool means you can keep up with your exercise schedule without disruption. Combined with the stylish and spacious apartments, the free wi-fi and 48 channels of Foxtel make for a very compelling set of reasons to choose the Republic Apartments as your next place to stay in Brisbane. Whether it’s for business or pleasure, the Republic Apartments fully self contained one, two and three bedroom apartments have got you covered. Book your Brisbane CBD accommodation now. This is Brisbane accommodation near Suncorp Stadium that’s pretty hard to pass up. Come and stay at a place with all the benefits of a hotel without any of the downsides. The sunny central location of the Republic Serviced Apartments in Spring Hill is a huge draw card for visitors to Brisbane. 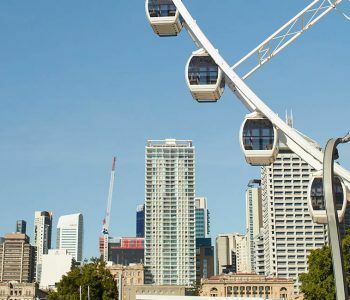 With the Brisbane Central Railway Station just across the road from the Republic Apartments, and buses running directly to Suncorp Stadium from a bus stop right outside, you can ditch the car and use the public transport system while staying in Brisbane. 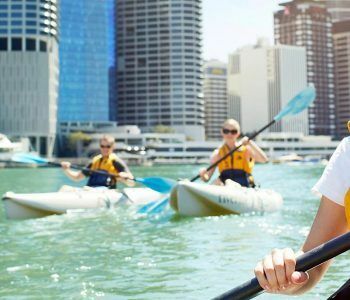 Getting around Brisbane couldn’t be handier, and with the City Cat Ferries, all your bases are covered. The Republic Apartments are the perfect getaway accommodation, whether you’re planning to follow your favorite team with mates, or have a romantic escape with your significant other. Choose from our one, two and three bedroom apartments. 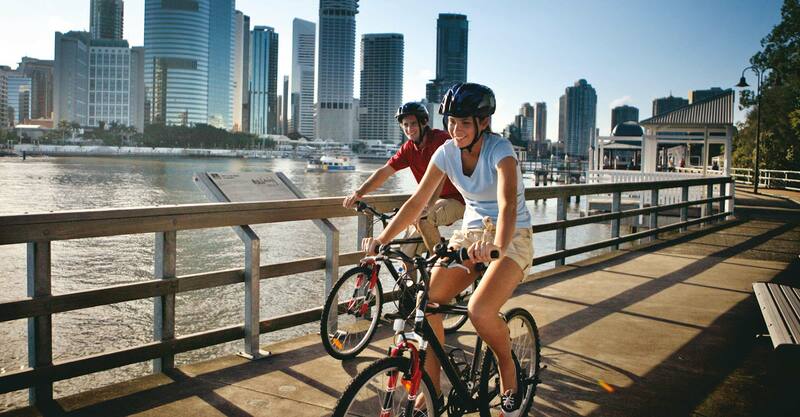 Let your Brisbane adventure start here. 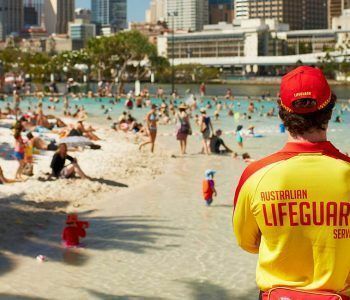 There is so much more besides the big game to keep you entertained in Brisbane. The riverside restaurants in Spring Hill to name but one gastro precinct is populated with countless great eateries. Whether you crave seafood, modern Australian, Italian or a great surf and turf palace, Spring Hill has something for every taste. But don’t just stop there. The cultural precinct across the river in Southbank is an adventure in itself. After a day browsing the State treasures at the GOMA and the Queensland Art Gallery, Little Stanley Street has a fantastic array of boutique cafes and bistros for you to experience. The artisan kitchens from Little Stanley Street are world famous. The Southbank Parklands and the Southbank Boardwalk provide a wonderful setting in the evening. Amble back to the apartments, or save it for another day. There is so much to see. Whatever your style, whether it’s hipster gastro cafe, surf and turf (you’ll probably find a hipster version of that as well) or fine dining you will find it in central Brisbane. But remember it’s going to start with the Brisbane accommodation near Suncorp Stadium. Make it count. Book your accommodation with the Republic Apartments now. If you are relocating cities, or you are in-between homes the Republic Serviced Apartments provide excellent Brisbane long term accommodation. 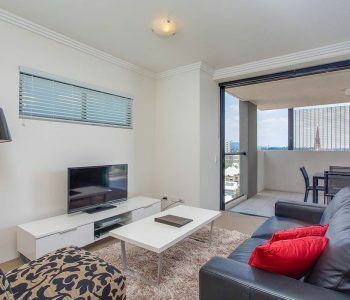 The Republic Apartments offer fully spacious and stylish apartments located in the heart of the Brisbane CBD, and close to Fortitude Valley and Wickham Terrace. Whether it’s just you, or your family, we have all accommodation options covered. Our fully self contained one, two and three bedroom are fully furnished with fully equipped kitchens and laundry. All services such as power, water and gas are included in the tariff price. There is also free wi-fi and Foxtel is already connected with 48 channels of viewing choices. 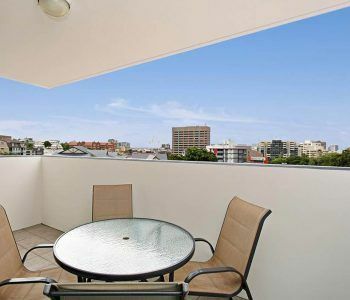 The our Brisbane apartment accommodation options all have generous balconies to enjoy the city views while having breakfast or over an evening drink. The three bedroom apartments have two balconies to enjoy. If you have a car, you can keep that safely parked in the building and use the superb public transport system. You can choose to travel by bus, train or river ferry. The Brisbane Central railway Station lies across the road, while the bus stop is just outside our building. Walk east for the Riverside Ferry Terminal on Eagle Street. It’s all very handy. The location of the nearest supermarket is also very convenient with Woolworth a couple of doors down. You can exercise in our well equipped gym. We have a range of cardio and resistance machines and a superb indoor lap pool too. You’ll also find the civic amenities very pleasing too with the promenades and public walkways alongside the river providing excellent motivation for early morning runs, or as safe transit routes for cyclists. For an enjoyable evening out, the restaurant precinct on Riverside offers a dazzling array of fine dining kitchens to choose from. The cultural quarter on the Southbank provides the city with a walk on the bohemian side. Especially down in Little Stanley Street, you can explore the quirky and interesting eateries that offer an artisan approach to cooking. Whatever your preference, you’ll find something new and interesting in the Brisbane CBD every day. It’s from the Republic Serviced Apartments and our excellent Brisbane long term accommodation that you will be well placed to enjoy the best that Brisbane has to offer. Call to discuss your requirements. 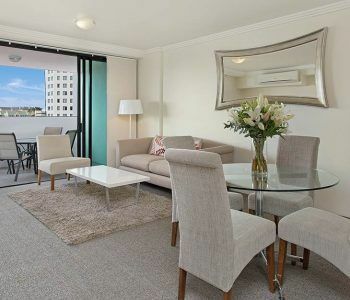 Your perfect Brisbane short term accommodation destination is Republic Serviced Apartments. 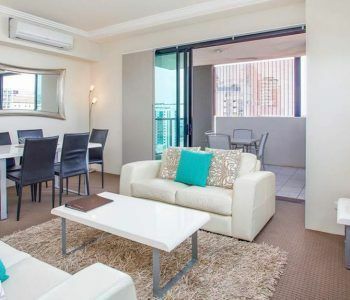 Located in the heart of the Brisbane city centre, the Republic Apartments offer stylish and spacious fully self contained apartments with everything you need for an enjoyable and comfortable stay in Brisbane. No matter what duration your stay, we can help make your accommodation experience in Brisbane as smooth as silk. We are the business accommodation specialists in central Brisbane. From airport transfers to restaurant recommendations, we can provide you with excellent knowledge of what is going on in Brisbane. With a location as great as ours, the city of Brisbane is at your feet. We’re within walking distance of Chinatown, and if you fancy exploring the trendy Spring Hill and the Brisbane River then a whole world of dining experiences are available to you. Wander along Eagle Street (you can’t miss it, it’s along the way to the Riverside Ferry Terminal) and some of Brisbane’s finest restaurants are either on or nearby this street. If you bring your car, you can safely park it for the term of your visit and use the public transport system. Or use a cab or uber. The Republic Apartments are also close to the Gabba in Woollangabba, and the the Suncorp Stadium in Milton. So whether you’re following the Brisbane Broncos, the Queensland Bulls state cricket team or some other team visiting Brisbane, you know you’re in good hands at the Republic Apartments. There’s also the Southbank, home to Brisbane’s major art galleries and museums. The Queensland Art Gallery and the Gallery of Modern Art both located in the South Bank with major exhibitions from their permanent collections, and also showcasing major international exhibitions. Medical professionals, patients and visitors will also find the location of the republic Apartments very convenient with several hospitals including the Brisbane Dental Hospital, Brisbane Dental College, Royal Children’s Hospital, the Holy Spirit Hospital, the Mater Private Hospital and Princess Alexandra Hospital (the PA Brisbane) nearby. Also close by are the Royal Brisbane Hospital & Women’s Hospital, Brisbane Private Hospital and Queensland Eye Hospital. St Andrew’s Hospital is at the top of Wickham Terrace, in Spring Hill, just a 5-minute taxi ride away. 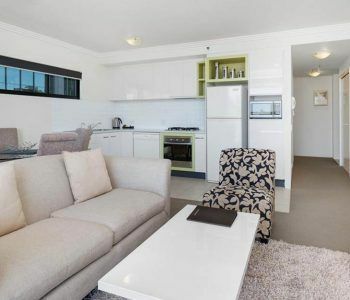 Make your perfect Brisbane short term accommodation destination the Republic Serviced Apartments. Book now. Here’s the perfect alternative to Brisbane hotel accommodation. Republic Serviced Apartments have an excellent array of fully self contained one, two and three bedroom apartments. These spacious and stylish abodes offer guests the flexibility of space and amenity for travelling groups. Serviced apartments make perfect sense for families and couples, where separate apartments are an impracticality. If you require apartment servicing on a daily basis this can be arranged. We provide apartment servicing every five days for shorter stays, and upon departure of prior guests. All apartments feature generous balconies with impressive views to the city. Just the place to have breakfast or an evening drink. The three bedroom apartments come with two balconies to enjoy. You’ll feel even more at home with the fully equipped kitchen and an all department Woolworths next door. Whatever your favourite cuisine, it’s bound to be nearby. Riverside is a short walk away with a dazzling selection of restaurants on Eagle Street. If room service is required, most local restaurants can usually arrange delivery if you’ve just arrived, or don’t feel like venturing out. There’s also 48 channels of Foxtel on the television, with an excellent movie, sports and kids selection on tap. Downstairs is the superb heated indoor pool. Large enough for laps, or just relaxing. There’s also a fully equipped gym available too with a range of cardio and resistance machines for you to workout on. Perhaps the greatest amenity that the Republic Apartments has in its favor is its great location. 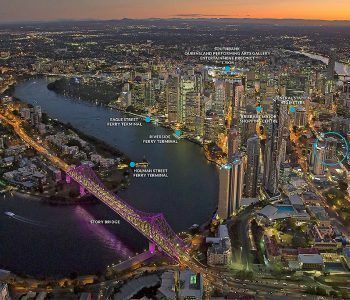 So close to the city centre, especially to the Southbank, Spring Hill and Fortitude Valley. We are also ideally situated for the sports enthusiasts coming for a game or event at the Gabba or Suncorp Stadium. So here it is. The perfect alternative to Brisbane hotel accommodation. Book your accommodation in Brisbane now at the Republic Serviced Apartments. We have an abode to suit you. If you are moving cities and require Brisbane relocation accommodation, the Republic Serviced Apartments offers some excellent Brisbane accommodation options. The Republic Apartments are located in the heart of the Brisbane CBD, and close to Fortitude Valley and Wickham Terrace. We have a full complement of fully furnished one, two and three bedroom apartments which means if you are arriving in advance of your family, we can provide you with one bedroom accommodation to begin with, and then move you to a larger abode when your family arrives. All apartments include a fully equipped kitchen and laundry. You can exercise in our well equipped gym. We have a range of cardio and resistance machines and a superb indoor lap pool too. There is also free wi-fi and Foxtel satellite television is already connected with 48 channels to view. The nearest supermarket, Woolworths is next door. We like to pride ourselves on making your transition to Brisbane as smooth as possible. The apartments all have generous balconies to enjoy the city views while having breakfast or over an evening drink. The three bedroom apartments have two balconies. If you have a car, you can keep that safely parked in the building and use the excellent Brisbane public transport system. You can travel by bus, train or river ferry. The Brisbane Central railway Station is just across the road, while the bus stops are outside our building. Walk east for the Riverside Ferry Terminal on Eagle Street. Our very central location makes staying at the Republic Apartments a pleasure. 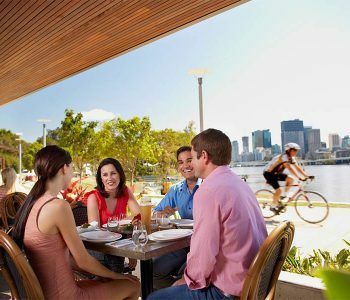 Eating out is always an adventure in Brisbane with various restaurant and entertainment precincts dotting the city quite conspicuously. 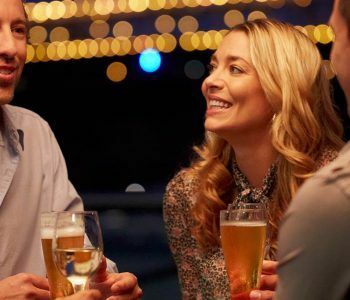 Riverside provides an excellent array of bistro and fine dining restaurants while the Southbank provides a more casual but no less tasty selection of cafes and restaurants to choose from. Make your Brisbane relocation accommodation experience as smooth and as hassle-free as possible. We warmly invite you to discuss your accommodation needs with us. Here’s luxury accommodation Brisbane that ticks all the boxes. For starters, the Republic Serviced Apartments central city location cannot be faulted. There’s a host of hotel accommodation nearby, but who needs a hotel when our serviced apartments offer so much more. You can cook, entertain and work like you never could from a hotel room. If you are bringing family who wants to split the tribe over different rooms. We have one, two and three bedroom apartments with fully equipped kitchens that mean you can lead the lifestyle you want to. Healthy and fresh is just a salad away, and what better way than to make one yourself, or anything else for that matter. With a Woolworths nearby it’s easy to look after yourself. All the Republic Apartments have generous-sized balconies, along with the similarly proportioned apartments for you to enjoy a meal al fresco with superb Brisbane city views. 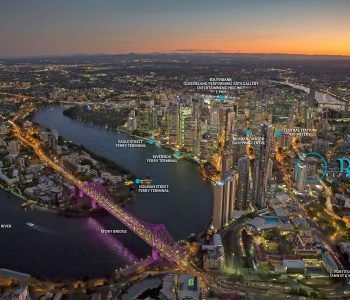 With views so impressive, living in the heart of Brisbane’s vibrant city scape means you can have it all. The promenades and walking paths are simply fantastic. From the Turbot Street address getting to the Brisbane attractions is a breeze. Whether you’re in town for a game at the Suncorp Stadium, or taking in the cultural spots at Southbank or Brisbane CBD the Republic Apartments have the accommodation for you. The Republic is also a good place to entertain your friends and family. Going out or staying can be fun either way. Entertaining is a piece of cake if you have one of the larger apartments. Then again Little Stanley Street is a fantastic place to play, with plenty of quirky cafes, bars and bistros to sample. You won’t run out of places to try. For luxury accommodation Brisbane that ticks all the boxes the Republic Serviced Apartments should be at the top of your list. Book now. 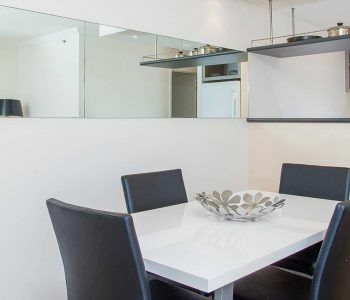 Whether you are looking for a long or short term Brisbane accommodation near Fortitude Valley, the Republic Serviced Apartments have something to suit all sized families and groups. Visitors to Brisbane will love our central location that is so close to the local riverside bars and restaurants. If you love trying out new places, then this is just one precinct to explore. The cultural precinct across the river between Stanley Street and Grey Street offers another flavor with a strong cafe and bistro vibe. The dress code may be casual and relaxed, but the area has a reputation for dishing out some mean dishes. Prepare yourselves for some knockout flavors. You can park your car on one of the four levels of parking in the Republic Apartment building and use the excellent ferries or train system. The apartments are located on Turbot Street, a five minute walk from Brisbane Central Railway Station, and just one stop away from Fortitude Valley. Access to the city is even easier. With the superb network of parks, walkways and promenades around the Brisbane CBD, walking the city is a breeze. Whichever sized apartment accommodation near Fortitude Valley Brisbane, you choose, we know you will enjoy the stylish and generously proportioned apartments. All apartments feature large balconies with wide city views, so you don’t have to feel like you are locked inside the sealed air conditioned bubble of a hotel room. Relocating professionals and their families will enjoy the handy location and the flexibility of being able to extend their stay if required. Visiting patients and visiting guests to the nearby medical specialists and hospitals will enjoy the convenience of accommodation that is so close. This Brisbane accommodation near Fortitude Valley really is somewhere to call home, even if it’s just for a while. Let the Republic Serviced Apartments be your first choice in accommodation when you come to visit Brisbane. Book now. 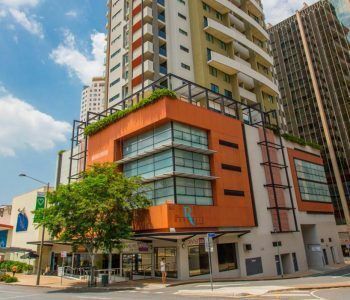 Looking for Brisbane accommodation in the heart of the central business district and within walking distance to the Queens Street Mall, Chinatown, Spring Hill, the medical precinct on Wickham Terrace, Brisbane hospitals and the Brisbane River? Look no further, the Republic Apartments offers guests this amazing Brisbane location close to everything you need in Brisbane. A shopping trip, visit to city specialists, a cultural weekend, Brisbane city stopover, corporate overnight accommodation or longer term accommodation, these apartments are the Brisbane accommodation option perfect for you. The Republic Brisbane apartments offers guests a great range of accommodation options close to the CBD. With one, two and three bedroom apartments, these serviced apartments cater for singles, couples and families on their Brisbane stays. All apartments are spacious with modern decor and fittings and feature kitchen facilities making self catering a breeze. 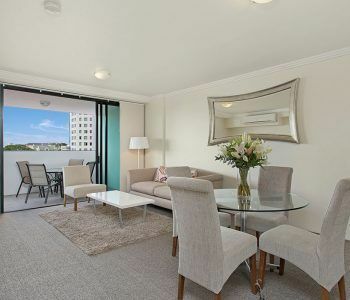 With outdoor balconies with city views, Foxtel, air conditioning, wireless Broadband Internet access and four levels of secure FREE car parking these apartments are suitable for holiday makers as well as those needing longer term Brisbane accommodation. Ideally located above the Spring Hill Marketplace shopping centre. 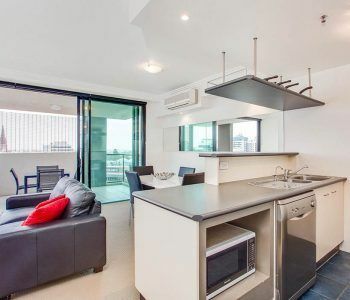 a short 250 metre walk to the Central Railway Station, 10 minutes to the Queens St mall and the Brisbane City Cat ferry, these Brisbane apartments are truly a one-off offering centrally sought after Brisbane accommodation. 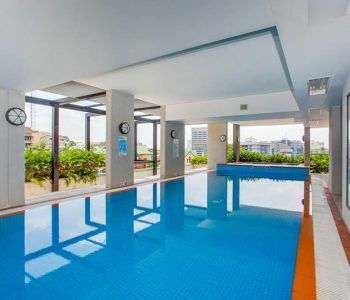 Take advantage of the onsite facilities which include outdoor pool, luggage storage, fitness facilities, elevators and free wifi Republic Apartments are perfect for your next Brisbane getaway. Ring us today to make your Brisbane accommodation booking, we’d love to see you soon.